Over the years we have worked hard to create great content. We have over 170 articles that I will be reviewing and updating. As I refresh them I will repost. I was visiting with another business owner tonight, and a the topic of leadership came up. Both of us are get in there, get your hands dirty type leaders. We agree that as a leader you should never ask an employee to do anything you aren’t willing to do. Now that I am running the restaurant, I do everything. It is hard work, but I have great help and I believe that because of this leadership style, they are willing to get in there and get their hands dirty and get the job done. Share your comments below and lets compare notes. Apply these 5 steps to your current client list and then work in order to determine who your true ideal client is. 1. 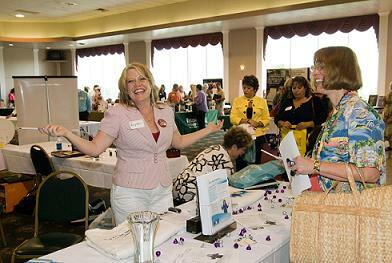 Find your most profitable clients. 2. From the above group, identify those who refer. 3. From that even smaller group, find common demographic characteristics. 4. Take the time now to understand the behavior that makes them ideal. 5. Draw a fully developed biographical sketch to use as a marketing guide. This is an exerpt from a, “Marketing for Free” class I taught. If you are interested in learning more, leave a comment and with your e-mail and I will be glad to send you the booklet from this class. Are you an entrepreneur needing an office space or a place to meet clients? The on-Demand Office Space is a great choice for start up businesses. We have a great example of this in Joplin, Missouri. 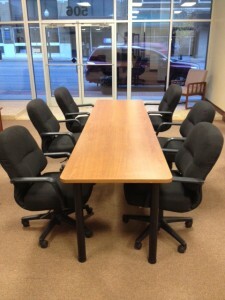 They provide a collaborative environment for small businesses, start ups, sales teams, and entrepreneurs. They have a variety of membership options to fit your needs without the large upfront costs of traditional office space. The Hive is much more than just an office space! The Hive is designed to educate entrepreneurs and create a supportive atmosphere so you can reach your goals. Hive members have opportunities to network, collaborate, share best practices, develop partnerships, share leads, and form friendships. The Hive is dedicated to the success of it’s members! They host a variety of events, including member only forums and training that provide opportunities to network and achieve success. We are very fortunate to have a second choice in Joplin. The Newman Innovation Center was born in 2001. A taskforce of local community leaders was formed to seek the best possible options for developing long range plans. The first task facing the newly formed committee was to seek ways of funding the project. A fundraising sub-committee recommended a two path solution. An application to receive federal funds from the U.S. Economic Development Administration was granted. The grant application, in the amount of $1.2 million dollars, required local financial support that equaled one half of the funds. Over $700,000 was raised locally from foreward thinking individuals and businesses. The construction process to rehabilitate the 1912, two story, brick building began in early 2005. Completion of the first phase of the project was late January of 2006. The 11,000 sq. ft. facility offers leased space for office, manufacturing and wet labs. Shared resources will be available to all of the tenants. The center will offer two conference rooms that will be use by the tenants as well as meeting rooms for client and community outreach. The purpose of an innovation center is to create a positive environment for developing, supporting and promoting entrepreneurs; with an emphasis on those pursuing innovative technology. So, if you are in need of office space for your start up business, contact your local chamber of commerce or look in the yellow pages under office space and see if you have a similar facility in your area. Are you a salesperson? I remember when I used to do in-home demonstrations and in order to process a credit card I had to hand write the information then go to the office the next day and process it. Too often it was denied and then I had to contact the customer and ask for another form of payment. It would have been really nice to process it on the spot! NOW I CAN! I found Square Register, a mobile app that allows me to process transactions as a cash sale, credit or debit sale, and it even will figure sales taxes. I was able to go in and set up my business informaton with name and contact informaton and then enter all my products with prices and tax rates. At each sale I just entered the amount, checked either cash, credit, or debit and processed it. 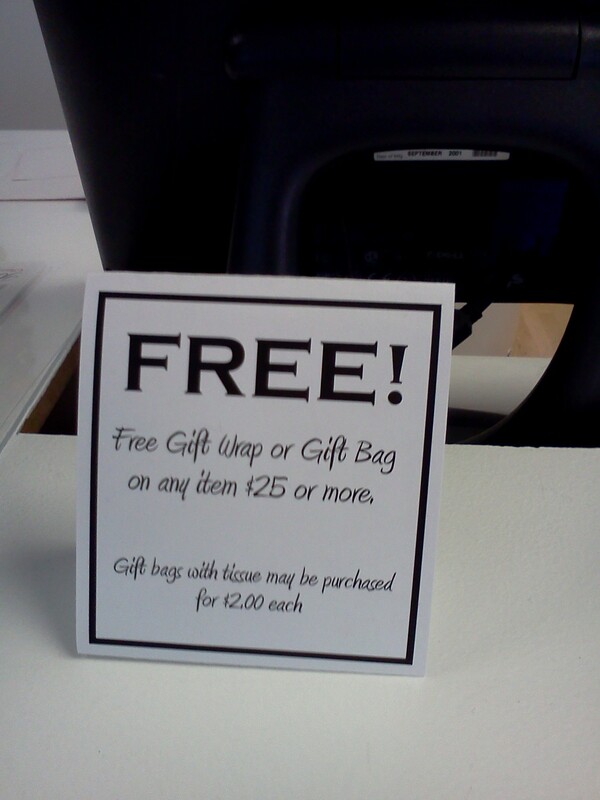 I am even able to give a receipt to the client by e-mail. When I ran a debit card they are required to sign on my phone and then enter their email address in order to recieve the recept. At the end of the day I just looked at my transactions and I was able to calculate the amount of my sales for the day, on my phone. When I got home I pulled it up on the computer and went into my account and it even has a reporting feature that shows each sale, what was sold, how many sales were cash, credit, or debit, amount of sales tax collected, and even trends. They have 2 payment options. I chose the flat 2.75% of the sale, but If I had more volume then they have a fee for the year. I encourage everyone to check this out! Are you trying to figure out how work and ministry are related? Ministry is for church and work is to get a paycheck…. WRONG! If you are out in the workplace then you are in a place to do ministry. If you would like to understand this more I would like to recommend our friend John Garfields book, Releasing Kings. Since Kingdom Business Journal is all about small business, I thought it would be fitting to go and support small businesses today on Small Business Saturday. I decided to mix it up and get a good variety for my visits today. I visited a friend’s shop on the mall, a family owned franchise hardware store, a reconditioned furniture and decor booth at a flea market, a main street shop, and finally a new restaurant I wanted to learn more about. 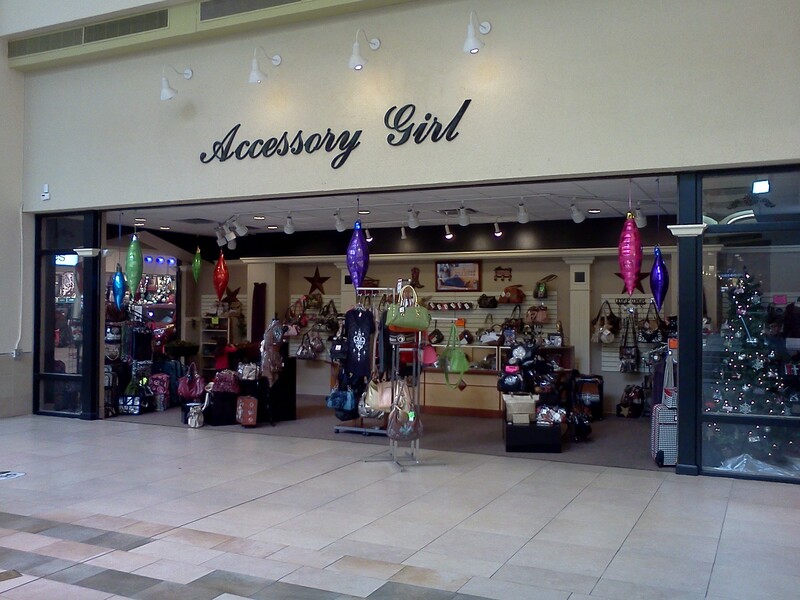 Welcome to Accessory Girl owned by my friends Stacey and Celesta Dennen. What a beautiful shop they have in a strategic location just inside the main entrance of Northpark Mall at the corner of the main corridor. Celesta is a master of picking a great variety of handbags, jewelry, and accessories. She has a lot of what I consider, “bling bling” items as well as a selection of country girl accessories. She had some great hand crafted items such as a selection of candles and hand crafted potpourri to choose from. 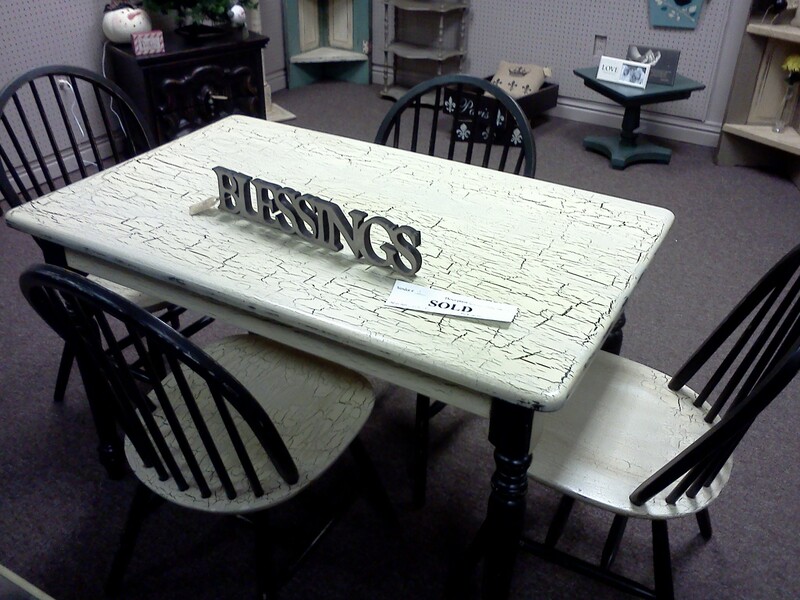 Make sure you stop by and see Celesta and find something special. 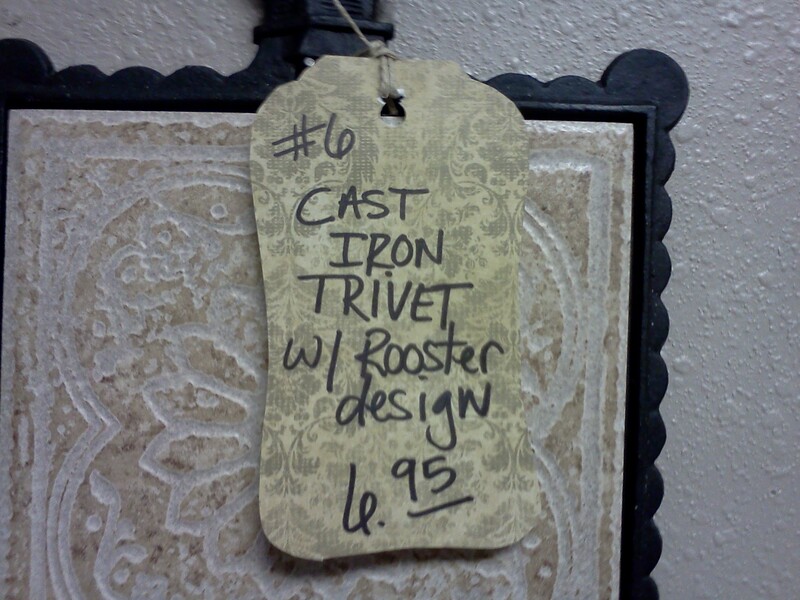 Tracey and Scherry Talbott have created some awesome pieces. 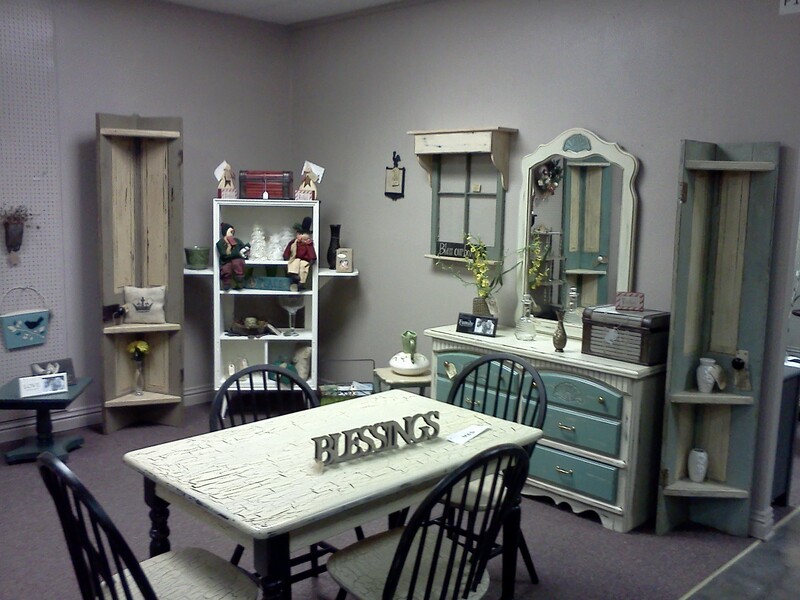 This is a picture of the booth they have at Rangeline Antique Mall in Webb City, Mo. I think this table is incredible. This was a plain oak table that Tracey restored and refinished. 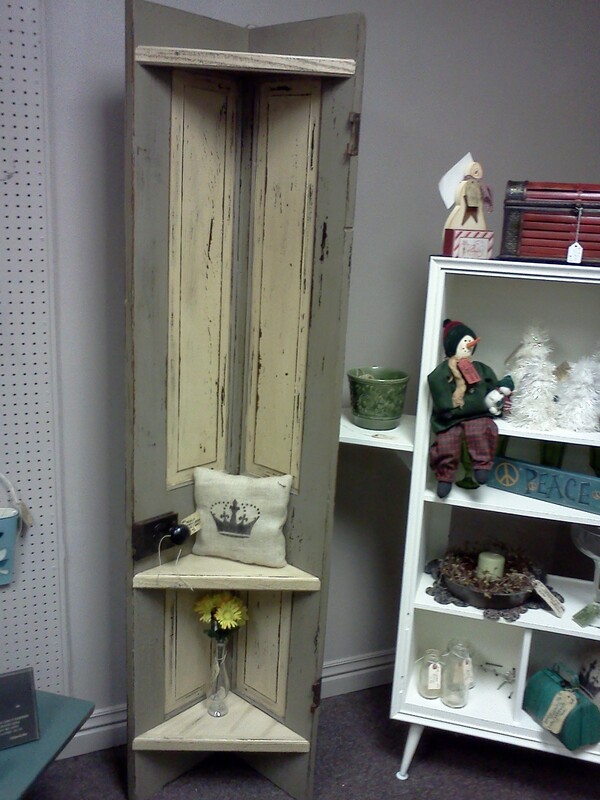 This is a corner shelf made out of an old door that Tracey cut in half. Awesome! Even down to the very unique and artistic labels, it is all first class. Make sure you stop by their booth (P11). It is always changing. Call Tracey at 660-227-9570 if you are looking for something special. Welcome to Henkle’s ACE Hardware. 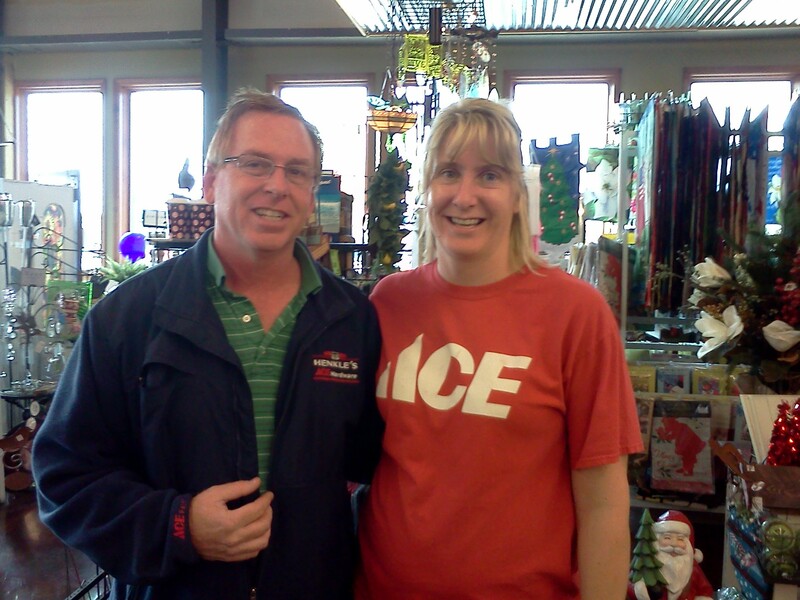 Henkle’s Ace Hardware is a local family-owned member of the Ace Hardware cooperative of stores. John Henkle grew up in his dad’s homecenter, Grand Country Homeworks in Grove. John and Cris had a Ace Hardware store in Zapata, Texas, but wanted to get closer to family, so they sold their store and opened in Webb City. This is such a cool store. My grandparents had a local grocery store, and it always felt like you were shopping with family. Henkle’s has that hometown hardware feel. I was greeted by one of the clerks with a smile, and there was someone always around willing to help when I needed help. 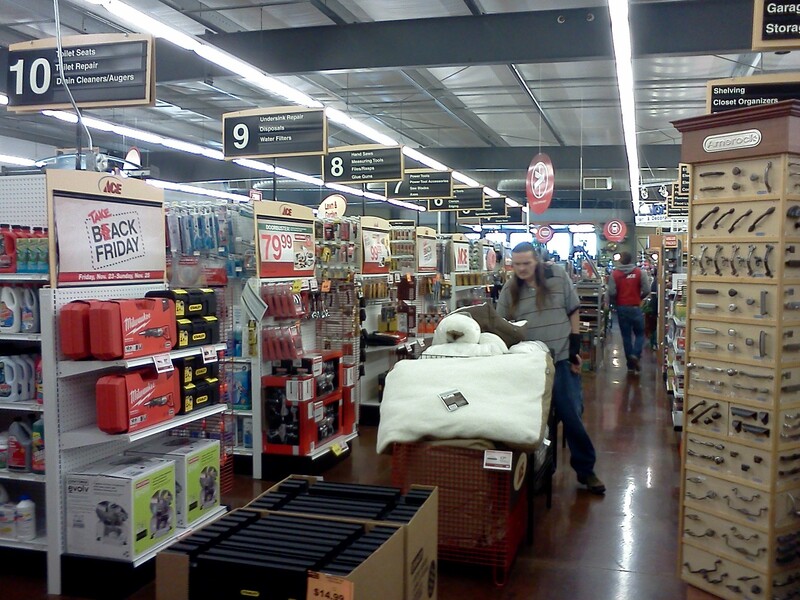 The store was very clean, well-organized, and they had a great selection. They have many things that the big box stores can’t or won’t carry. I needed an item that I wasn’t able to find anywhere else, and they ordered it for me. 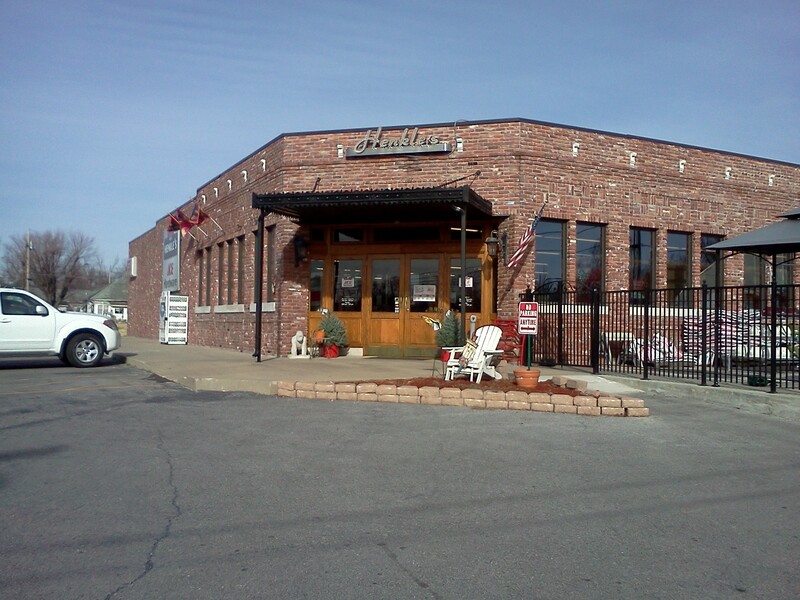 Henkles is a great small business in Webb City. 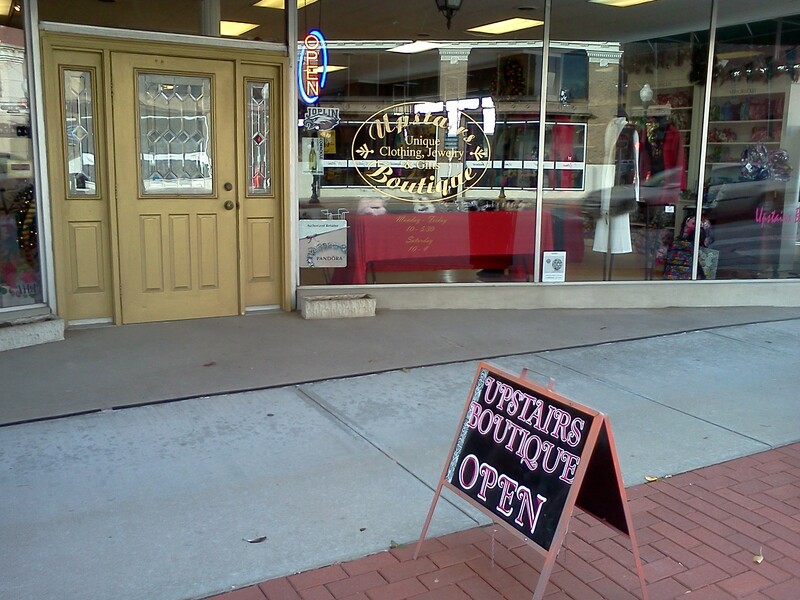 Jane Richart is my friend and owner of Upstairs Boutique. Lamp District in our 5000 sq. ft. location. Jane, her husband Bob, and Jane’s son Kent are wonderful people. Jane has big sales every year after Thanksgiving and it is a great time to get stocking stuffers for the ladies on my list. She had leg warmers, watches, scarves, and jewelry on sale today. Lots of goodies! 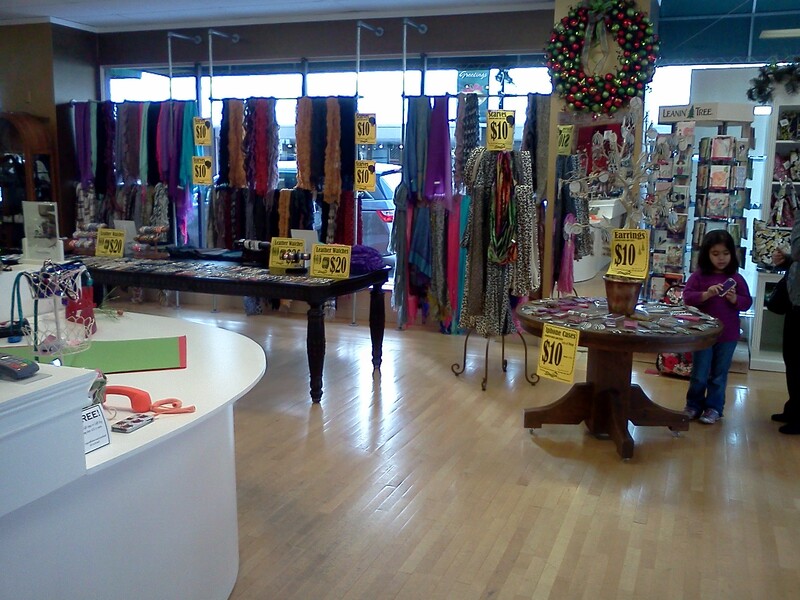 One thing I love about Jane’s store is how nice it always looks, she had Christmas music playing, and it smelt great. All decked out and ready for the Christmas shoppers. 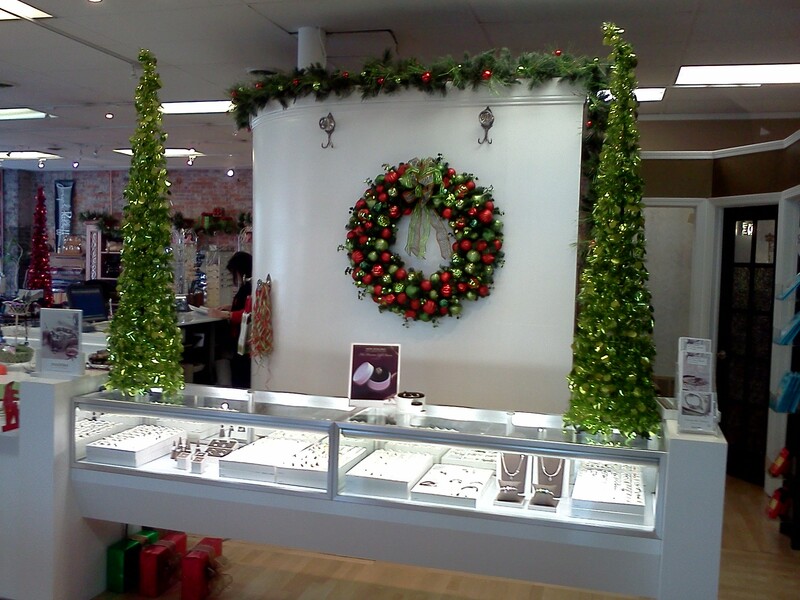 Come see Jane and her crew for that special lady on your list. Now let talk about food! Welcome to Mohaska Farmhouse. 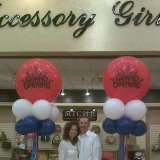 Owners Jamey Smith and Eric Dicharry opened in June this year. I spoke with Jamey today. He started his bakery business in a converted garage. 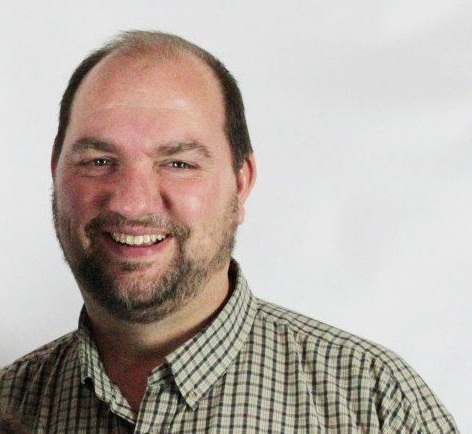 He sold breads at the farmers markets in Webb City and Neosho, and they had a portable concession food trailer they went to special events with for the last 5 years. 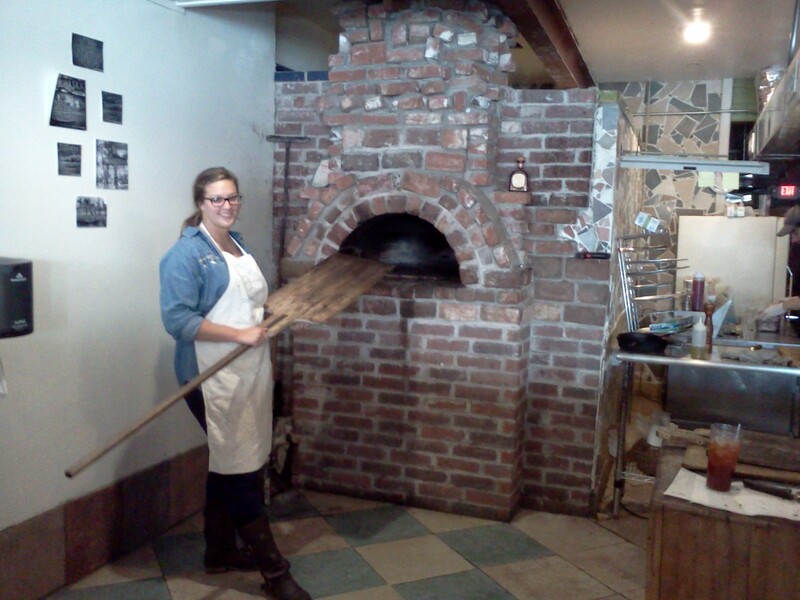 Jamey and Eric built this wood fired oven that they make all their pizza and bread in. 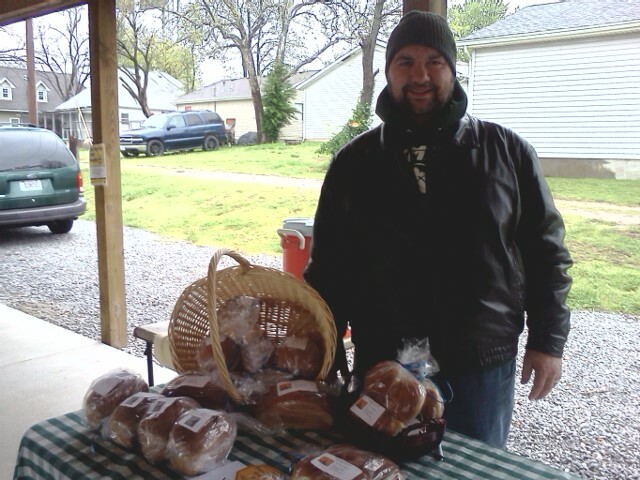 Jamey told me they make over 30 kinds of bread, just not all at one time. Mohaska Farmhouse makes all of their menu items from scratch using high quality cheese and local bacon and sausage. 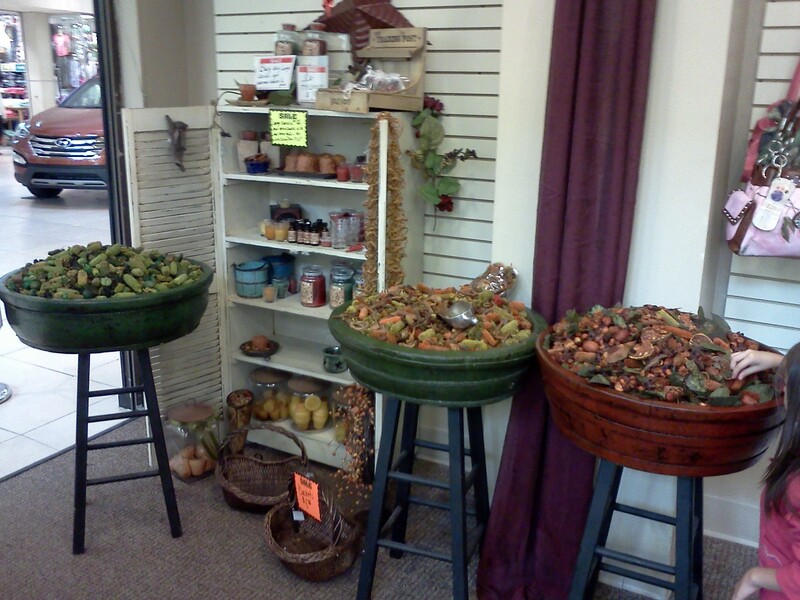 They utilize locally grown and organic products when available. 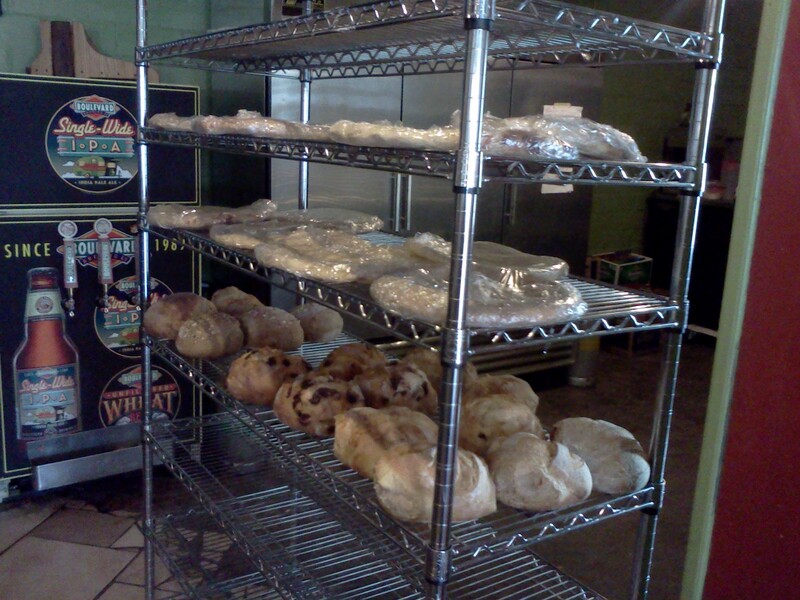 Their breads are hand-crafted with organic flours, sea salt, and water. They have a full menu and even have live music on the weekend. I brought home a loaf of 100% whole wheat bread. I am going to toast it and put some of Laura’s homemade preserves on it for breakfast. Go and try Mohaska Farmhouse today! 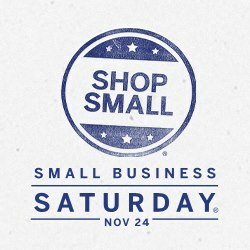 Remember to shop local small business. 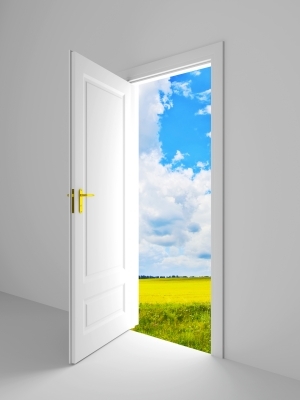 When you listen to people and are willing to be open to God’s leading, He opens doors that would never be open otherwise. This week I have been extremely busy, but not too busy to listen to God and obey his prompting. Let me share a few of these opportunities with you. I was very busy and walking through our foyer to go take care of some business at the volunteer desk, when someone called my name. They introduced me to a man and he said that he wanted to go somewhere and talk, privately. I took him to the prayer room and he began to tell me his story. He had a heat stroke this summer and was still suffering from the results of it. He had been to all the doctors and was at the end of his rope, and just needed to have God heal him. Pastor Rick and I prayed with him. We are looking forward to and believing for his testimony of healing. This week one of my employees relatives had to have had to have heart surgery. I was bold at God’s leading and asked her if I could pray for her family. I did and she was grateful. That was the first opportunity to share God with her, and I thought that door was shut. Today I got a call from a lady whom I have had contact with on 2 or 3 occasions. She apologized for not getting back to me sooner, but her husband had surgery. I was prompted to ask if he was ok, and then found out that he had brain surgery and was fighting an infection. I asked to pray with her and she said yes. After praying for her she tearfully said she really needed that today. Remember that God is looking for willing vessels and he wants to use us. We need to listen for his Holy Spirit and be obedient to his leading. 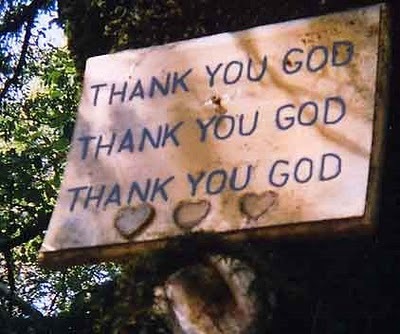 I believe that we should JUST SAY YES, to God! When we take a step of faith and say YES to God, he will bless you and will allow great things to happen. When we say NO or But God, we close doors and opportunities and we may never know the impact of what could have been. She had FAITH, just as we need to have FAITH. I have seen God move in unbelievable ways and do unbelievable things, but it is because I said YES. It was that time of year again for the annual NFL Football Super Bowl last night and as happens to me each year watching the game, a number of performance principles needed to not just be victorious but to even compete at this professional level came to me to share with you today. The parallel comparisons of professional sports to business are such a clear example of the value of pursuing excellence to be successful. There are many examples I could share that have mutual application to sports and business but today I would like to submit a basic list of 10 characteristic for peak performers for you just to consider this week and see how you rate yourself as a peak performer in your profession and workplace. A challenging list it is to say the least but not impossible. If it were easy, anyone could do it. That is why the number of successful, professional athletes is relatively few. The question is, could there be more athletes at that level? Much of their success lies within their heart. That desire to be the best you can possibly be is daunting to many of us and the fear of failure looms ever present in our carnal minds. Every day is a challenge and sometimes it is just too much work. May I suggest you self analyze where you rate yourself with this list above and if you come to one principle that you acknowledge you are weak in, research how you can learn more about being successful in that area of your life. If you feel you are doing pretty well in another, rejoice and take heart. You will find that enlightenment and improvement in these areas of life and work will not only positively affect your business life but will help you in your personal search to seek and find the desires of your heart. You may never play and win a Super Bowl my friend, but you can be a winner every day of your life if you desire to be!